As I listen to my 6-year-old and 10-year-old boys fight over nothing for the 100th time today, I think of the many coffee commercials that promise to whisk you away to some calm, still and quiet enclave. For me, it is my stereo. When firing on all cylinders, my rig can whisk me away from the clamor of life within seconds. On an even deeper level, music is one of the main elements in the mosaic that makes up my life’s blood. I have invested a great deal of energy and treasure in this pursuit with great results. With that in mind, I have come to expect a great deal from components I spend time with and have become more particular and critical. How would the inclusion of the Allnic integrated affect this dynamic? Would it live up to these increasingly lofty expectations? The Amp is a model of cool factor and pragmatic application of layout design. The integrated handles are located right where the transformers lay, giving great balance when the substantial T2000 must be moved. There are 70 watts per side on tap. The T2000 is a push-pull pentode design which can be switched on the fly to triode operation. The Nickel/FeSi core transformers are wound by Allnic’s Kang Su Park. This metallurgy combination allows for fewer windings, providing for higher inductance resulting in wider rage of frequencies. There are two current meters giving measurement to the four KT-120 tubes. Four RCA inputs and one pair of XLR inputs are supplied along with a pair of RCA pre-outputs. There is nothing about the construction to cause concern while there is much to admire. Let’s get a few practical matters out of the way right off the bat. As mentioned before, the Allnic is 70 watts per channel, and in a little way sounds much like my 300-watt Behold BPA. 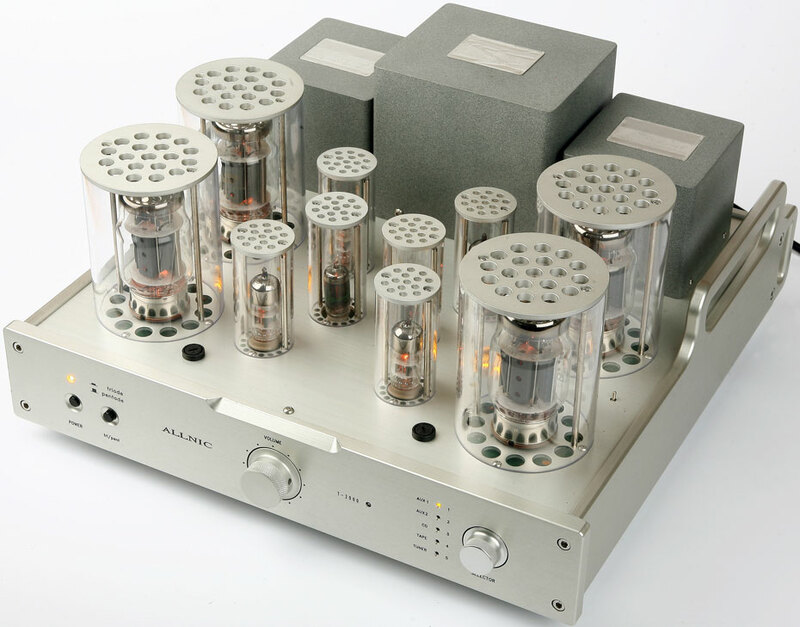 The $50k BPA along with its $70k preamp sibling are the best components I have ever heard. So, at 13.5 times the price of the Allnic, they create less than a fair fight. That said, and on it’s own terms, the Allnic T2000 renders music beautifully and in a fully engaging way. In nearly all instances, the level of musicality is first rate. I do not review a lot of tube gear so my ears are fresh for what lies within the glowing glass tubes. Having lived with the Allnic T2000 for the past two months, I think I have a pretty good appreciation for what some of the buzz on this brand is all about. 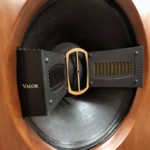 After what I thought was a sufficiently long burn-in, about 7 days of play, I began to really wrap my ears around what the Allnic had to offer. It did take a bit of getting used to as the dynamics were not quite as explosive as through the Behold. Again, this is no knock on the Allnic. The T-2000 breathes life into everything that passes through it’s inputs. Subtle wells in dynamics are blended seamlessly with the larger movements of volume. The speakers in place at the time were the German Physics Borderlands which, with their 87dB rating, they did put a slight strain on the amp. Adjusting the SPL’s allowed the Allnic to settle into a comfort zone and to really shine. The other thing that struck me was that this amp is unapologetically a tube amp. Many modern tube amp reviews state the “XYZ tube amp sounded not like a tube amp but more like a solid-state amp” etc. Not the Allnic. In triode mode the T2000 was creamy smooth, rich in textures and bloomy as a spring rose. “Now this is a tube amp that has no self loathing,” I said out loud to no one in particular. It is usually a good sign when I start talking to myself about a component. Everything I played seemed to ride upon a wave of liquidity. Continuity is one way to express it, seamless-cut from whole cloth another. But in the Allnic case, the cloth is gossamer, held gently together with delicate threads that stretch, but only tear when pushed way too hard. About two months into the review I changed speakers. Switching out the German Physics Borderland for the Lansche 4.1 yielded jaw dropping sound. 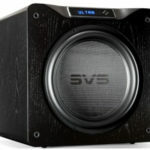 The powered subs of the 4.1 along with its 101 dB efficient drivers make these a modestly powered tube lover’s dream. “But you say they sounded great with the Borderlands!” you may exclaim. Yes they did, but through the 4.1, the image of the instrument is joined by more body both of the performer and that of the instrument. A quick way to put it is everything fleshed out. Listening to Ray Brown play on track 2, off of Walk On (Telarc83515-A), there is the palpable presence of a person playing an instrument rather than some musical apparition floating in space. Some may appreciate the exactitude of the Borderlands, I prefer the body offered up by way of the twin 10-inch powered woofers per side. On track one of Billy Cobham’s Best Hits (GRP8F5XA), the layering of the synth lines and electric piano are open and alive with energy with endless blossom, displaying what tubes can do yet often don’t to this extent. Track three from the same CD shows off the speed and bass/mid bass impact of which the T-2000 is capable. Billy Cobham really lays a whoopin’ on the skins, and the T2000 holds little back. The dynamic impact of each stroke is felt as well as heard. The T2000 also had a great way with tone. The mid bass in particular has a deeply saturated color of real instruments. This creeps up into the mid band and treble as well. Being an old bass player, my ears go right to the mid bass and here the ear, as well as the heart, are well rewarded. Transient response is beyond reproach. The notes ignite like fire works rather than emerging from a dryer, less oxygenated space. This is the first step towards the bloom mentioned above. This gives music a bouncy, buoyant feel. The Behold system gets it all right with an iron fisted grip that leads to bloom. Here the Behold goes about it in a different if even an ultimately more musical way. 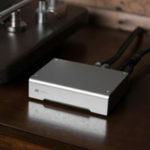 But the Allnic, like I stated at the beginning of the review, stands completely on its own merits. I really liked the Allnic through the Borderlands, but I fell in love with it through the Lansches. I can listen to this amp day and night and not get even a hint of listening strain or fatigue. Of course, there are some discs the Allnic cannot help and that is as it should be. But even those CDs that are border line are helped immensely. Take Pete Townsends Empty Glass (Atlantic002J6J), a collection of auto biographical songs full of originality and vigor. Through the Allnic, the sound is organic if a bit dynamically compressed, yet the musical message arrives in spades. Back to the finer side of the recording arts, the first few bars of Livingston Taylor’s cover of “Isn’t She Lovely” from Ink (Chesky) features three guitars trading themes often at very quiet levels, and the Allnic does an outstanding job of reproducing the micro dynamics as well as the tonal shadings of each guitar, independent from one another. The illusion of guitarists connected to the instruments is palpable. 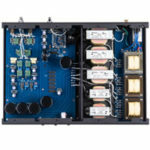 This is an amplifier that creates a great visual presentation for those that place a premium on imaging. The Allnic T2000 came to me at a time when I was less likely to tolerate mediocrity from a component, yet I had a feeling I would not be let down based on the earnest proclamations of the Allnic line and the T2000 in particular, by David Beetles of Hammertone Audio, the Global distributor for Allnic. From the moment I removed it from its enclosure, its inspiring design and user friendly features made a fine first impression. The T2000’s $8,900 price lands it in an unbelievably competitive field of integrated amplifiers from a huge variety of established brands. I would love to see Allnic mentioned in the same breath. But the real inspiration lay in its sonic performance. The T2000 is alive with a good dose of tube magic and bloom, excellent bass extension and control, and fleshed out life-like imaging, just to mention a few of the many attributes. The T2000 with a 1-year warranty on tubes and a 2-year transferable warranty makes for a great investment in the art of assembling a first rate system.